Ah, love is in the air. Little pink, red and white Valentine’s Day decorations adorn every window of every store and heart-shaped candy is aplenty — and tempting. Couples are oversharing their affection in public and bombarding you with cutesy images on Instagram and Facebook. Yes, Valentine’s Day is a macro lens on all romantic cliches, but what about when you zoom out? Enter today’s topic: Couples living. 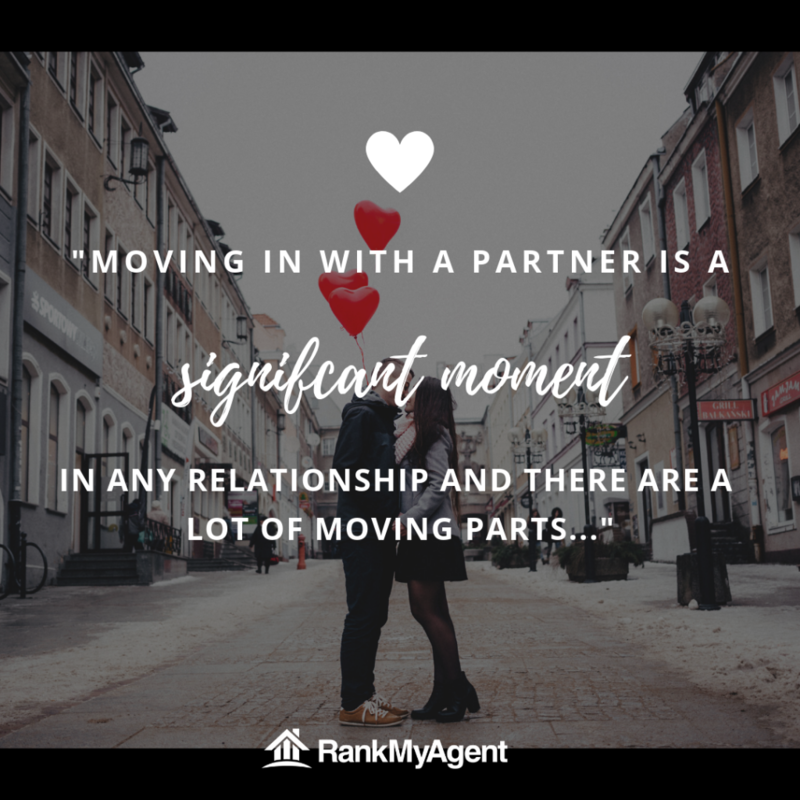 Whether renting or purchasing a home, moving in with a partner is a significant moment in any relationship and there are a lot of moving parts we have to consider in this decision-making process: What happens if we break up? Are we ready yet? Is it better to move into a rental unit or buy our own place? Our incomes are very different, how do we strike a balance? Do we need to be married first? Our styles are very different, how do we decide how to decorate? There is a seemingly endless stream of questions that you and your partner should discuss. And yes, unfortunately, some of these questions are going to bring about tough and uncomfortable conversations about finances and debt, future financial and life goals and more. But, it has got to be done if you are to gain a realistic picture of what your future with your partner entails. Buying a home with your partner is pretty scary — especially when you’re not married. It’s still less common to purchase a home with your boyfriend or girlfriend, so you may experience some stigma and backlash from friends and family. They may tell you that buying a home with someone you’re not married to is a deathwish. This is simply not true. Although divorce rates have dropped slightly from their peak of 41% during the mid-’80s, CBC reported that four in 10 first marriages end in divorce — of course, this information was based on a 2006 census, but StatsCan has since stopped collecting divorce data. With that — somewhat tragic — info being said, it’s important to realize that these couples will also have to go through the break-up processes that unmarried common-law couples will endure. So, really, it’s essentially the same product with different labels. 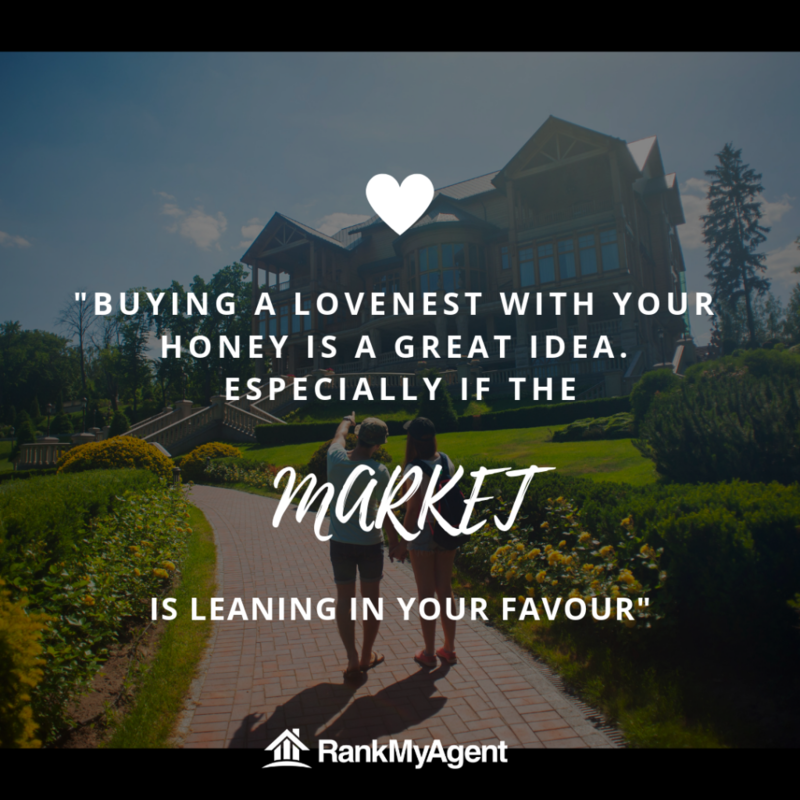 Buying a lovenest with your honey is a great idea, especially if the market is leaning in your favour. Take advantage of that. Again, be sure to discuss debt and finances as your partner’s debt could influence the outcome of your mortgage approval. The debt talk matters, Realtor.com says, because it will uncover your debt-to-income ratio, the “number your lender will look at to decide if you can pay back a loan.” This number can’t be higher than 43% and lenders will figure it out by adding up all monthly debts and dividing it by monthly income. 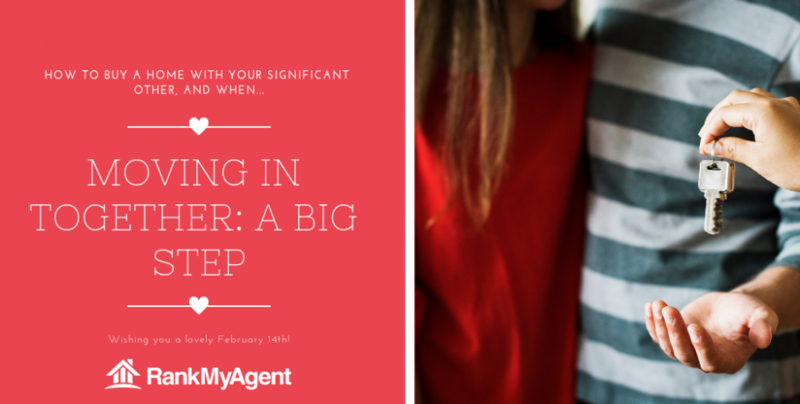 The down payment is another big-ticket item you’ll have to discuss with your partner. How will you afford this, plus closing costs? Realtor.com says this can be acquired through savings, a gift from a family member, or it can come from an RRSP. But who will pay for what? And how will the costs be divided? Realtor.com says this discussion is necessary before any paperwork is finalized. Some couples are fine merging all of their funds together in one giant pot and tackling everything together, but some find this can lead to a “yours and mine” mentality that can be detrimental to a relationship. One way to conquer this is to keep things separate — to an extent — and based on income. It’s rare that couples earn the same amount of money so it doesn’t make a whole whack of sense to split the costs of a new home down the middle, 50-50. Instead, break it down. 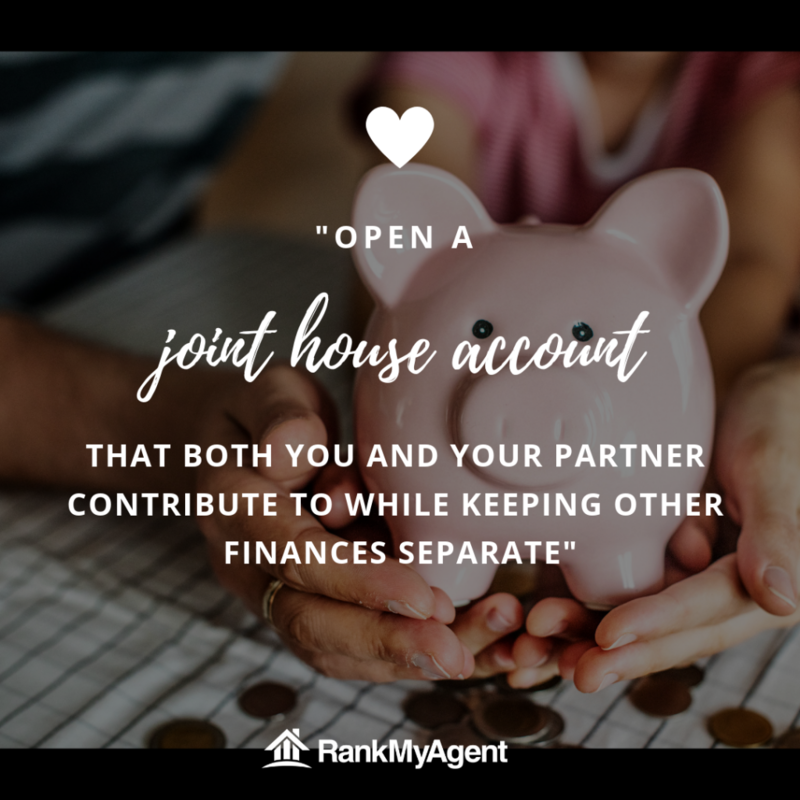 One technique to do this involves opening a joint “house account” that both you and your partner will contribute to while keeping your other finances separate. Together, you can decide what you will pay together and what you will keep separate, such as student loans, or that travel debt you acquired in your gap year. To make this fair and equal, set up a direct deposit from individual accounts to a shared-joint account. Be honest and keep that line of communication open. But, Ramnarace says, keep some emergency funds tucked aside in your personal account in case of unexpected changes in the bills department. But what if we break up? Breakups can happen whether your married or not, so Realtor.com suggests establishing a contract that defines what happens to the equity in such a case. This contract could give partners a limited time-frame of 30-60 days to buy the other out, or you can agree to sell the home and split the proceeds. Having this contract in place, although bleak, can save you a lot of hardship if this situation ever arises. It’s best to think ahead and protect yourself. Even if you’re renting, a contract like this isn’t a terrible idea. It could protect both of you and the financial contributions you invested in the relationship, like furniture and expensive housewares. Perhaps a deal can be made to buy out the other instead of feeling ripped off — on top of having a broken heart. Now that all the serious talk is winding down, let’s discuss something a little more fun. DECORATING! You two have moved into your new home — rented or purchased, either way, congratulations! And it’s time to start decorating! First things first, you’re going to have a lot of duplicates of things so it’s best to purge the doubles. This will save you space in your new home. No one needs four spatulas — you’re not running a Wendy’s out of your home. Next, keep your all your sentimental things and mix your styles. 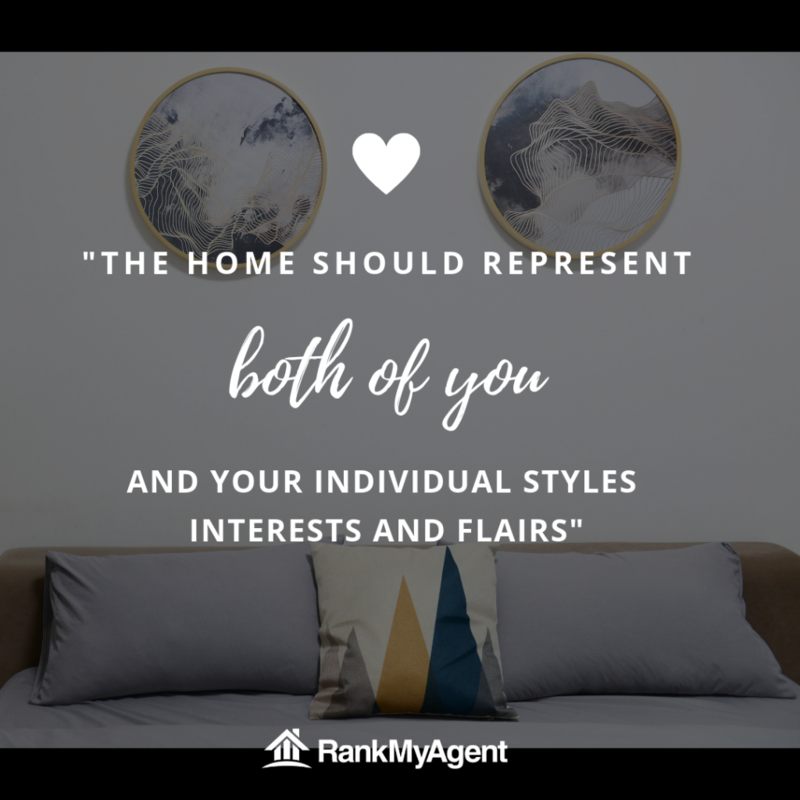 The home should represent both of you and your individual styles, interests and flair. Compromise, compromise, compromise. You will not be on the same page about every little detail, so really try to emphasize what is really important to you and what you are OK on budging on a bit. Again, you want the space to reflect both of your personalities while highlighting what makes you two work well together. My only real big suggestion on this topic is to avoid conflict be sure to check in with each other a lot. Be sure to check in before making any crucial purchases and be sure to check in before you start randomly tossing things that may contain your partner’s personal belongings. Enjoy this time. It can be really fun and you can really get to know each other on a whole new level. To all you lovebirds out there, cohabitating or thinking about it, we at RMA wish you good luck and a very happy Valentine’s Day.